The Gift That Keeps on Giving….. In early 2014, FINRA and SEC regulated firms caught a glimpse of regulatory focus in the form of targeted examination “sweep” letters focused on Cybersecurity. Although these letters raised awareness of regulatory focus and concern regarding Cybersecurity within the Broker-Dealer and Investment Adviser communities – most firms are still “in the dark” in terms of how they should conduct internal Cybersecurity Risk Assessments, ensuring they are meeting regulatory expectations if / when tasked by the FINRA or the SEC to evidence their diligence in this high profile area. In the wake of the many highly publicized data-breaches in 2014, our clients have reached out to us for advice and guidance in an effort to increase the overall awareness of Cybersecurity risk within their respective organizations. Many of these clients are seeking comprehensive training and a robust framework and methodology to conduct Cybersecurity Risk Assessments on a targeted and/or enterprise basis. Identification: Can your organization identify the critical processes and the data that supports your business end-to-end? Can you recognize the difference between a “breach” and an “attack”? Protection: What is your company doing to protect its critical data and the infrastructure and devices it rides on? How quickly after an incident can your company realize that something is amiss? Detection: What mechanisms does your organization have in place to detect if something is going on with critical data, and how is that detection escalated throughout the firm? Response: How is your organization prepared to respond when Cyber incidents are detected? Recovery: How will your organization recover from a Cyber incident? How will your company keep its great name in tact at reduced risk and quickly on the mend? Do our business partners have good Cyber-business practices in place? How do we know? Do our contracts with partners and vendors require a legal level of Cyber-diligence to get and keep our business? Are your business units, vendors, partners, and processes compliant with ever changing regulations, reporting requirements, and industry standards? Does their critical data and our critical data ever co-mingle? Does our firm have on-boarding contracts, processes and training to ensure appropriate governance over our Cybersecurity risk? How does our firm keep a non-tech savvy workforce well trained and ever-vigilant against Cyber threats? What if you have a potential whistle-blower situation? What are our processes to handle and escalate? Assume that the criminals are already in your networks. With this in mind, organizations should respond by proactively assessing their respective risks and creating the appropriate mitigation strategies to ensure your firm is appropriately protected. Multiple studies are showing that in 2014 +40% of all businesses were hacked, exploited or denied service, mainly from overseas non-state actors. Due to the rise in the number of “network citizens” outside of the United States, this trend is only expected to continue. Change is coming. FINRA, The SEC and other regulators are expected to require the entire Financial Services sector to assess Cyber Risk and maturity. According to J.R. Helmig, Founder of Leveraged Outcomes, LLC, a financial and national security consultancy, the primary point is for firms to implement solutions to meet future threats and regulations. “Too often firms spend time and resources to meet yesterday’s compliance obligation or risks. Instead, look at what the requirements and risks are going to be for the time frame when you will be implementing the solution set, otherwise you will be outdated and outgunned before the start”. How Do We “Attack” the “Attacks”? Through our ongoing efforts to provide thought leadership and impactful guidance to our clients, we have spent a significant amount of time and resources contemplating the best ways for firms to assess Cybersecurity threats within their respective organizations. Based on our research, we have determined one of the most comprehensive and current Cyber Frameworks to apply is the National Institutes of Standards and Technology (“NIST”) Critical Infrastructure and Cybersecurity (“CICS”) Framework. NIST CICS addresses all of the FINRA and SEC Sweep letter requirements. The NIST CICS Framework is very modular and can be applied incrementally as firms deem necessary and appropriate. 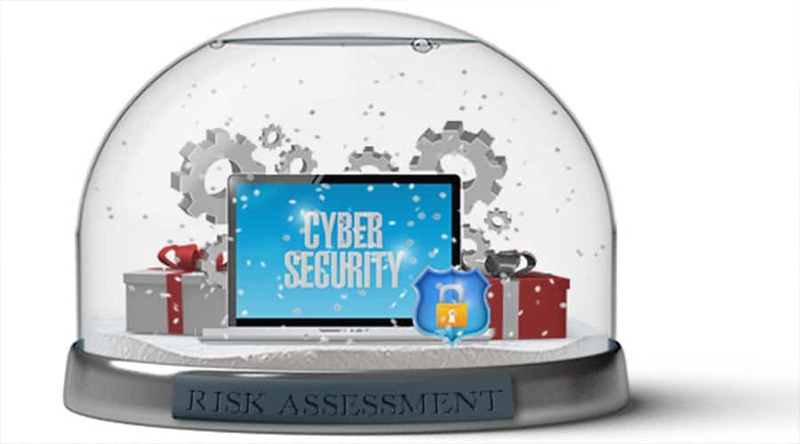 This allows firms to “leg-in” to a Cybersecurity framework over time with a careful, thoughtful and pragmatic approach toward addressing their risk based on the risk profile of the organization and with sensitivity to internal budgetary constraints. Firms must be mindful of partnering with third-party vendors / service providers that cannot show some acceptable “criteria-based” framework to assess Cybersecurity risk like NIST CICS. Companies need the ability to look across their entire enterprise, from the board room to the shop floor, when considering Cybersecurity. Almost all we do today has some sort of Information Technology component associated with it. The NIST CICS framework helps companies recognize the scope and breadth of the task at hand. How Can Compliance Risk Concepts Help? CRC has the capability to assess all or a part of your enterprise that will meet or exceed the spirit and intent of the FINRA Sweep letter. Based on our understanding and utilization of the NIST CICS framework, we can offer your organization a best-in-class, cost effective assessment, training, and technological suite of solutions that can be tailored to meet your company’s specific needs, requirements and budgetary constraints. Use the form below to request an exploratory conversation or in-person meeting to discuss your organizations discrete needs.